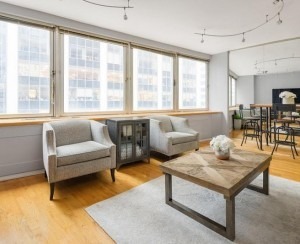 With so few available apartments and so many over-eager buyers, selling a New York apartment right now might seem like a slam dunk—why waste energy strategizing about pricing when you can just sit back and wait for the offers to start rolling in? But buying (and selling) a home is often an emotional process, and few people base their choices on sheer rationality—for whatever reason, homes with "777" in the address sell for 2.1 percent less than their estimated value, and places with a nine in a thousands digit (e.g $199,000 instead of $200,000) sell between four and seven days faster, the New York Post recently reported. 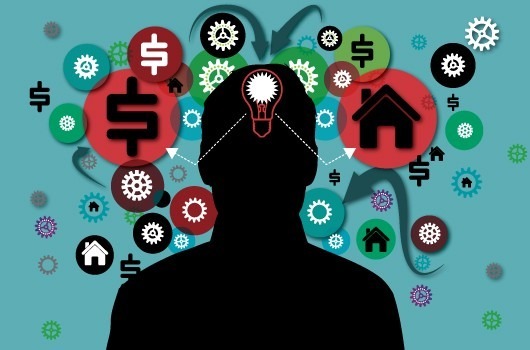 Clearly, there's more going on in buyers' heads than a pure "cost-benefit" analysis. 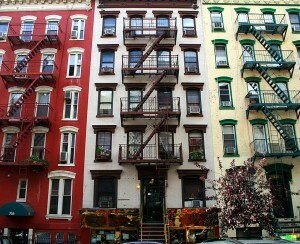 Mind games aside, your biggest priority is to make sure that as many interested buyers as possible see your apartment. And given that most people apartment hunt online, that means fitting the price into the right search categories. "You have to look at where the price break brackets are," says Warbug Realty broker Jason Haber. "I know the ones on StreetEasy by heart—they go up every $250,000" between $1 million and $3 million. If you price right at or slightly above $2 million for what is really a $2 million apartment, "you're going to lose the people who are looking for under $2 million." In other words, think about how people actually search—which is usually within a small range on either side of their target budget—and price your place accordingly. Which brings us to the oldest trick in the sales playbook: setting the price just below the next big number to create the illusion of a cheaper deal. (As Roger Sterling put it on "Mad Men," "You know what brilliance in advertising is? 99 cents.") "It's just like when you go to buy a flat screen and it's $799 instead of $800," says Haber. 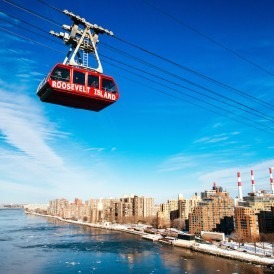 "Instead of $1.5 million, I'd rather price something at $1.49 million," concurs Urban Compass agent Howard Spiegelman, though he notes, "I'd prefer $1,995,000 instead of $1,999,999 for a $2 million apartment—I don't like '999' visually." Whatever your particular preference, this trick is also key for important tax brackets, most notably the $1 million price threshold that qualifies properties for the so-called "mansion tax." Miller Samuel data guru Jonathan Miller notes, "If the pied-a-terre tax on $5 million apartments passed, you wouldn't see any condo sales for $5.2 million." It may be wise to think about pricing your place just shy of what you think it's really worth to pique buyers' interest and spark a bidding war that'll drive up the price. While that might sound blasphemous, you'll run into a lot of brokers who use this trick (or at least try to talk sellers into giving it a go). "If there's a competitive listing that may be just as good as your apartment, you would price it a little less than that apartment because you'll draw people over and you may end up pushing your price higher and selling faster," says Haber. Looking at the other "comps" on the market—e.g. similar for-sale apartments that'll be your competition—is always crucial, and in this case, you'll use them as a benchmark to make your place look like a steal. "In a market like today's where there's limited inventory, you could go 5 percent below, and end up 5 to 10 percent above," says Spiegelman. "I've had incidents where buyers went $400,000 or $500,000 over the asking price because it got personal—they didn't want to lose it to someone else." Particularly with mortgage rates as low as they are, buyers might be more willing to go over their initial budget. "If someone spends $200,000 more than they'd planned, with 2.2 percent mortgage rates, they're really only taking on around $450 extra per month," says Spiegelman. But seller beware: don't let a broker talk you into this technique unless there are truly similar apartments on the market to use as your comps. Otherwise, how will buyers know that it's a comparative deal? "When you're pricing slightly under, you really want to be building-specific, ideally—when you have exact comps, no one can argue," says Spiegelman. "But at least be neighborhood specific, and look for comps that are condo to condo, co-op to co-op. You want educated buyers to show up—half the battle is getting people excited. In this environment it’s really about setting that first showing for the frenzy." And this isn't all just for an ego boost: people get suspicious of apartments that have been on the market too long, so it's important to price in a realistic and enticing way that will draw in buyers right away. "The whole objective is to create urgency," says Miller. "If you've wildly overpriced a property, there is no urgency." Based on his research, Miller says that the average listing is priced at around a three percent discount from market value—just enough to generate interest, but not so much that you risk selling at a loss. "Pricing within a few percentage points of market value does maximize the potential sale price," he says. "There's a difference between the 'sell it in a month' price and the 'sell it in six months' price," says Bellmarc Realty broker Mark Neuwirth. If you're looking to move something quickly, for instance, think about the recent sales in your building, and price below them. "If there hasn't been anything under $1 million in a while, we'll price something at $990,000," he says. On the other hand, you could bide your time and wait for what Miller calls the "one in a million buyer" who loves your place so much that they'll pay whatever you want. But you may not find a broker who'll go along for the ride, and if you do wind up having to knock your asking price down, that could make buyers suspicious that something is wrong with the apartment. "It’s not the right signal you want to send to buyers in this market," Neuwirth says. "The stakes are high. If you’re in a market that’s so tight and there’s a price reduction, it's very hurtful." If you're still on the fence about your (or your broker's) proposed asking price, Haber recommends a thought experiment: "Think about what would happen if you priced the apartment at $1," he says. "Obviously you'd get a few people offering $4 or $5, but once educated buyers saw it, where would the natural market come in?" Sometimes, there's no better psychology than a reality check. If I buy an apartment, what do I do with my current lease? Ask Sam: What are my rights as a market-rate tenant? 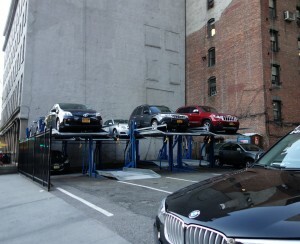 How long does it take to land a parking spot when your NYC apartment building has a waitlist?